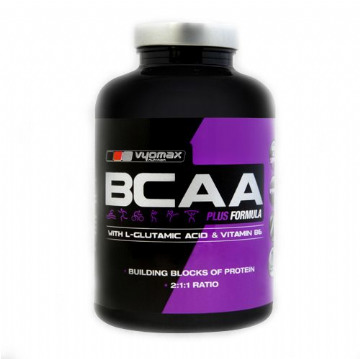 Carefully formulated with a high BV (Biological Value), 100% pure Whey with 28g of protein and a balance of glutamine peptides with a full amino acid profile per 40g serving. Vyomax® Whey Protein provides your body with 28g of quality muscle building whey protein, a balance of glutamine peptides to encourage muscle recovery along with a full amino acid profile. Whey Concentrate can be used by anyone looking for a high quality, great tasting protein supplement to use in conjunction with a weight training routine or those individuals wanting to boost their daily protein intake to meet dietary requirements. Recommended Use: As a dietary supplement, mix one 40g serving ( One heaped scoop ) in 200ml water or skimmed milk. Stir for a few seconds or shake in a shaker and consume immediately. For best results whey concentrate should be taken 2-3 times a day between meals. Vyomax® L-Glutamine powder is a very versatile nutritional supplement that supports recovery, repair and re-growth of muscle tissue. This is a highly valuable natural supplement that can be taken by anyone , but will be of particular use to those training under a high intensity programme.